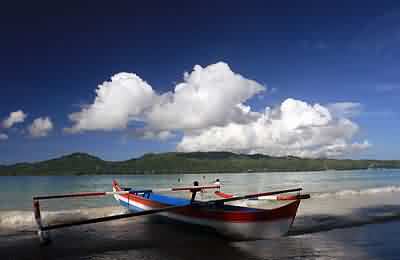 Natsepa beach in the BAGUALA bay directly opposite the famous malignant Banda sea. Don’t be surprised if high winds and large waves occur at any time at the beach. Those two natural phenomena are the magnet of Natsepa beach. The peak occurs during the east season between May to August. Its strategic location, located on the main route connecting the city of Ambon and Central Maluku district, making this beach once considered one and only tourist destination place in Ambon. 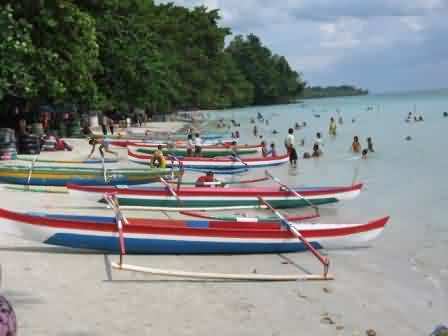 Though later other attractions places are found on the island, the charm of Natsepa stil remains. It is said, that Natsepa is the first place chosen by allied soldiers who want to enjoy their holidays. “The soldiers came with their girls sunbathing on the beach, or teach the girls to drive”, said local residents. After the era of colonialism ended and the soldiers are leaving ambon, the local residents copied their habit. For years, Natsepa became known as one and only attractions, only later discovered that the Ambon island have many others. Tired of playing with the waves, visitors can rest on a sloping sandy beach. The sand’s texture is so soft, like soft sugar, the color is not too white, but comfortable to walk or just lie down. 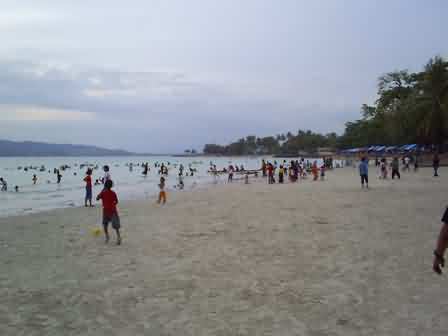 Local residents said that previously the sand on Natsepa glowed white. Sunlight makes luminescence on it like a diamond. Visitors who want to enjoy the beach longer can stay there. Numbers of economy class bungalows are available. Built on the shell, the bungalows have natural impresion. Plus the wooden walls, natural impression even more so. You don’t need to install an alarm to wake you up in the morning. The sound of the birds on the trees around bungalows is loud and noisy enough to force the closed eyes wide open. For them with extra pocket can choose a luxury resort near the beach. Rate of three to four times the rate of the simple bungalows earlier. you should try the fish, roasted with traditional sauce of colo2. And enjoying sun set the same time.